Video games could help save the world – are you ready to accept that? Video games, the pastime of male teenagers locked in their bedrooms and starved of Vitamin D. That is how many people seem to view this popular past time. In reality, this could not be further from the truth. According to a survey in 2013, the average age of gamers in the UK is 35 (married with one child)(1). In 2011 a more detailed study showed that the majority of gamers were between 25 and 35, with a male female split of 51% to 49% (2). More amazingly the estimated number of gamers is 32.9million people – that is nearly half of the country playing games! When you consider that the average age of the current workforce in the UK is 39 years old (3), it becomes apparent that games are a very large part of the society and of your work force. But, how will this help save the world or even change it in any way? Games are not just about entertainment these days, we are seeing more and more so called “Serious Games” or “Games for Change” all the time. These are games that are designed to either directly or indirectly help others. Their uses range from helping to cure cancer, to teaching people about the atrocities experienced by refugees in Sudan. Cancer UK are no strangers to using games to help with research in to cancer. In 2012 they released Cell Slider (4), a game that has players analysing tumour samples by playing a game of snap online. The data is then collated and used by researchers. To date over 2 million slides have been analysed. In 2013 they released Play to Cure: Genes in Space. This time players have to map a route and then fly through it in their upgradable space ship. The map the must plot on is actually genetic data. As the player chooses the densest areas of the maps to fly through, they are helping scientists collect and validate data. 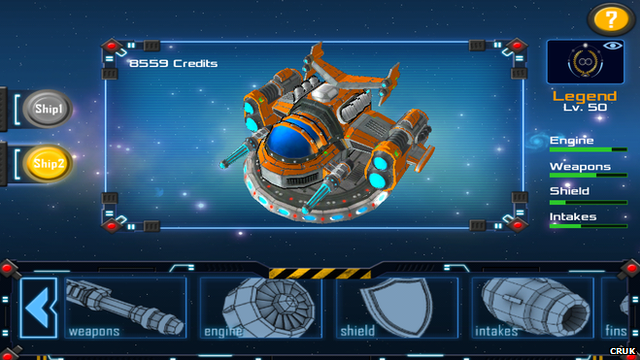 All this in a mobile 3D space shooter. These are just three examples from many that are now available for people to get involved with. Games are being used to save rain forests, teach about the atrocities of war, help kids manage diabetes and much more. Your employees are a powerful force for change and that change could be achieved by with games. The question is, are you ready to embrace that?